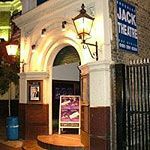 The Jack Studio Theatre is a vibrant theatre situated in South East London. As well as offering a full theatre programme throughout the year, the venue is home to film, scratch nights, comedy, cabaret, the Jack writers workshop, community festivals and arts events. Some shows maybe unsuitable for children. What did you think of The Jack Studio Theatre?